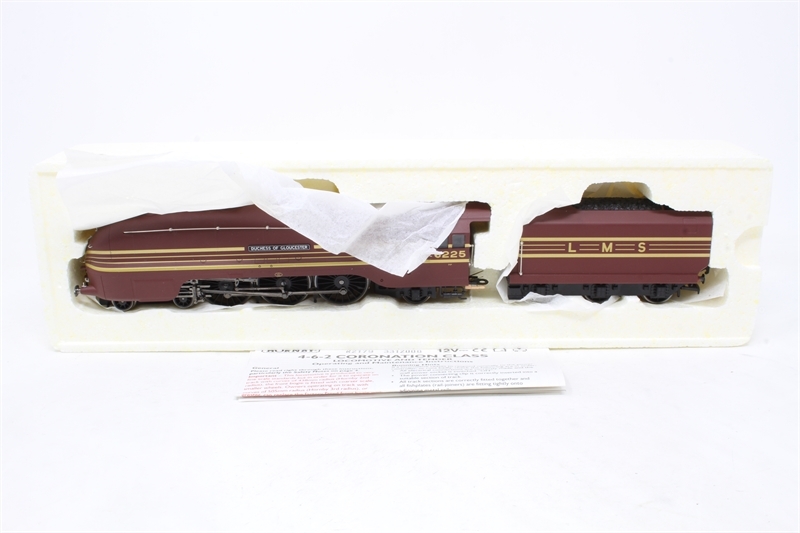 Designed by Sir William Stainer FRS, the streamlined 'Duchess of Gloucester' was put to traffic in May 1938, the first of the class to carry the LMS crimson Lake livery. 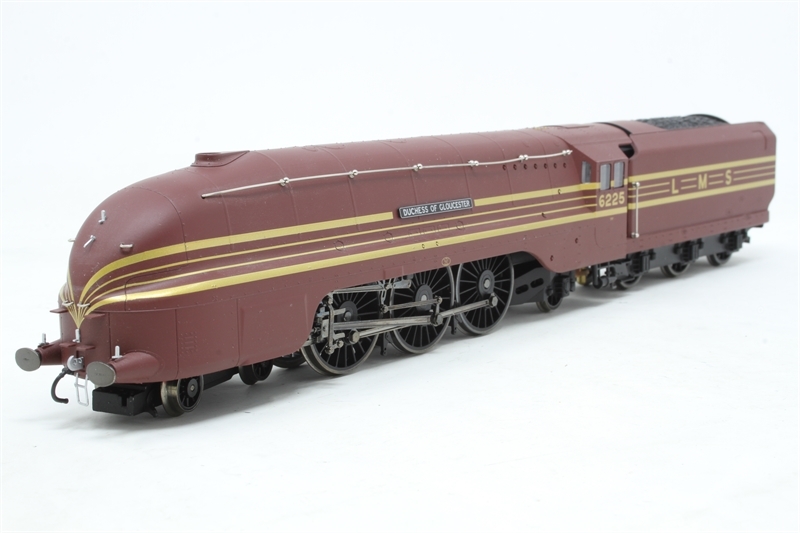 This stunning Hornby correct scale model is outshopped in the period and incorporates an abundance of detail, including sprung buffers, interior glazed cab detail and scale wheels. A five pole motor situated in the locomotive. 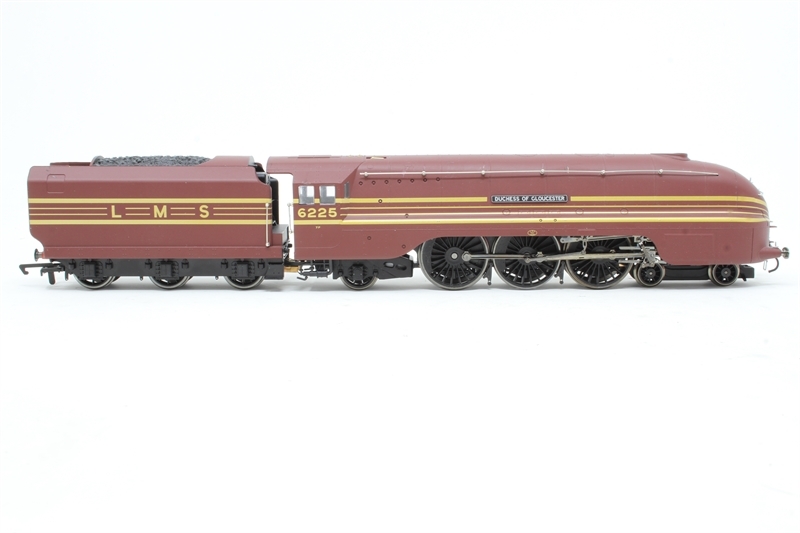 An alternative front bogie with smaller 9 spoke wheels is included to allow the locomotive to be used on layouts which have curves with less than a 19" radius.